Get a taste of New Hampshire when you stay at our Bluegreen Vacations South Mountain, an Ascend Resort Collection in Lincoln. Our smoke-free hotel is close to several local attractions, including the Franconia Notch State Park, Loon Mountain and Georgiana Falls. We offer every guest free WiFi, free coffee, an exercise room and an indoor heated pool. 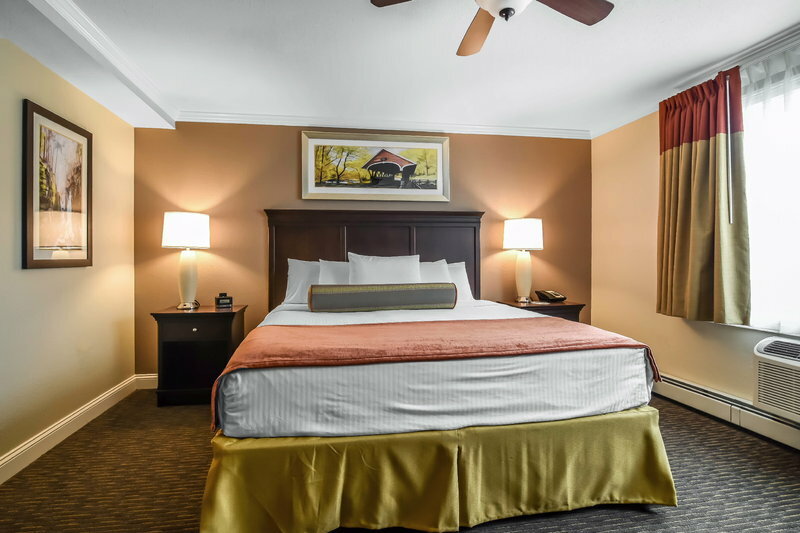 Settle in for the night in one of our cozy guest rooms, all of which feature a coffee maker, hair dryer and a TV. Also, earn rewards including free nights and gift cards with our Choice Privileges Rewards program. Barre is "Granite Capital of the World," and its granite-carver artists turned Hope Cemetery into their canvas.